JACKSON, Mississippi (AP) — The Mississippi House and Senate will attempt to work out their differences on a proposal to expand state subsidies to health clinics. The efforts, proposed by Gov. 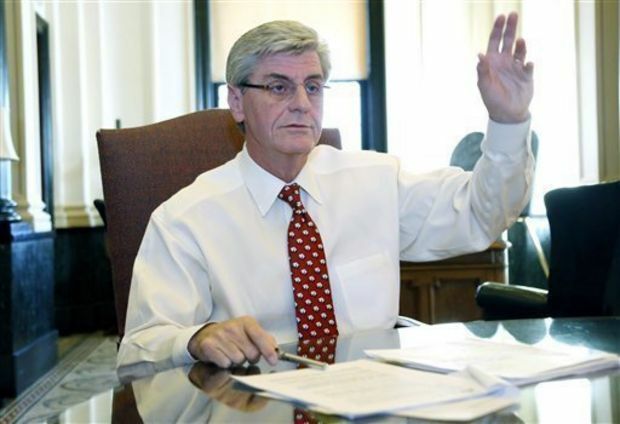 Phil Bryant, are meant as a partial alternative to expanding the Medicaid insurance program for poorer people. The House passed an amended version of Senate Bill 2117 Thursday. House Public Health and Human Services Committee Chairman Sam Mims, R-Natchez, said the two chambers will confer to work out differences. Under the health care overhaul President Barack Obama signed into law in 2010, states may provide Medicaid to people making as much as 138 percent of the federal poverty level, about $15,000 a year for one person. In Mississippi now, the income cutoff is about $5,500 for one person, and many able-bodied adults are not eligible for Medicaid coverage regardless of how little they earn. Mississippi is among about two dozen states that have rejected the expansion. Bryant and Republican leaders of the Mississippi House and Senate say they don’t trust promises of federal funding and Mississippi can’t afford possible future costs. Supporters of Medicaid expansion say giving money to hospitals and health clinics is not sufficient as an alternative. In his 2013 budget, Bryant recommended spending $8 million, with $4.8 million going to expand the state’s existing network of community health centers, which treat many patients without insurance or who have lower incomes. That money would help the clinics expand hours or set up additional satellite locations. Bryant also wanted $3.2 million to create new community health centers or help existing clinics become federally certified. The House chose to adopt the first prong, allotting $4 million to underwrite expanded operations for an existing set of federally-qualified or nonprofit rural clinics. The Senate, though, chose the second prong, which would open the grant program to any health care provider that cares for patients in an underserved area.